1.4.1 Would we go back to Animal Kingdom Lodge? As part of our ‘Disney-moon’ and before departing on our first ever Disney Cruise we decided to splash out and book a deluxe hotel (or two!) for a couple of nights during the third week of our Orlando stay. 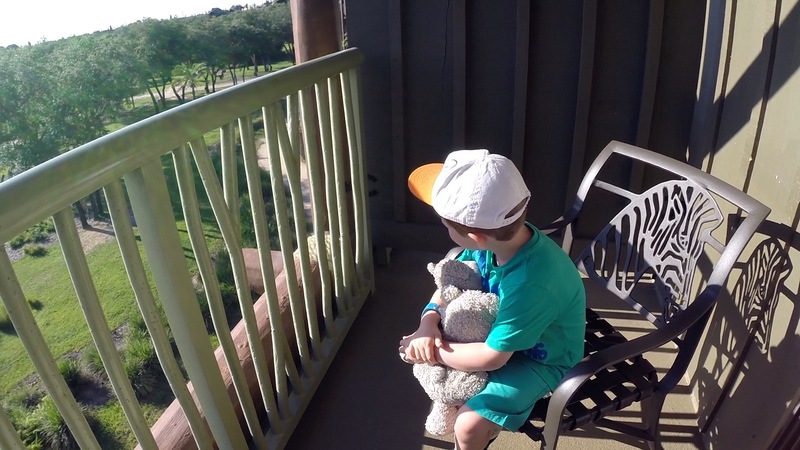 We chose both Bay Lake Towers at the Contemporary and a savannah room at Animal Kingdom Lodge. It was day 15 of our three week stay; the rest of our party were leaving that day so we packed up with them, took our bags to Animal Kingdom Lodge super early and headed on into a park. 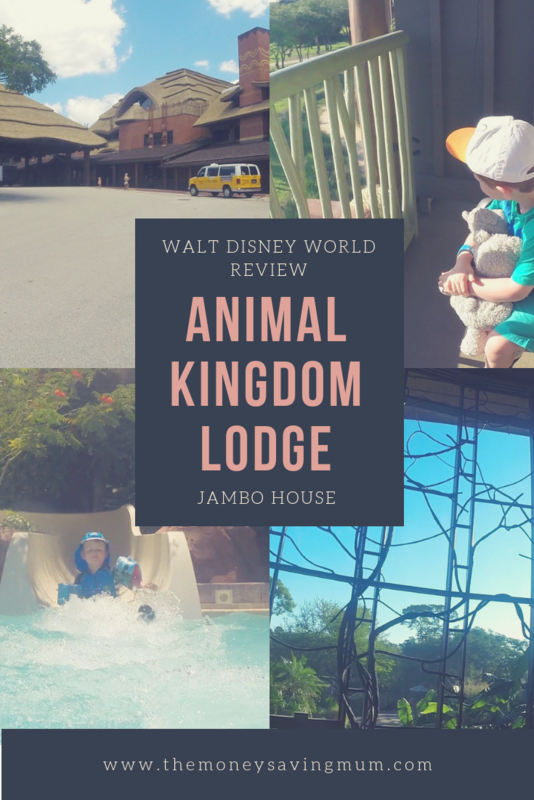 Animal Kingdom Lodge is located just minutes from Animal Kingdom theme park and is to the south west of the whole Walt Disney World resort. When we arrived at the resort the bell man welcomed the bags and said they’d hold them until check in. At that stage our room hadn’t been allocated yet so they told us to drop by when we came back from the park and they’d bring the bags up. Unless we were to ever resort hop again it’s unlikely we would ever have to experience using bell services as we usually land in the afternoon and head straight to our room so this was very new to us and really weird to check in so early! Get a list of the top 10 must do’s at Animal Kingdom Lodge sent to your inbox RIGHT NOW! We arrived and asked the bell man to bring our bags up before making our way up to the room. After a bit of a delay (which wasn’t ideal to be fair as we had another hire car to go collect!) we got our bags, went for our car and headed back to the resort to check out more of our room (5310). 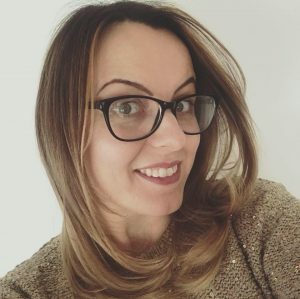 We had already looked around the resort on a previous trip which is why we booked it because it’s so beautiful but looking around as a non guest is not the same as being a guest! We were little bit in awe of the room. The view was amazing, the decor of the room beautiful… we had never stayed in something so posh as you can probably tell from the vlog at the very end of this post!! The room itself was a studio. 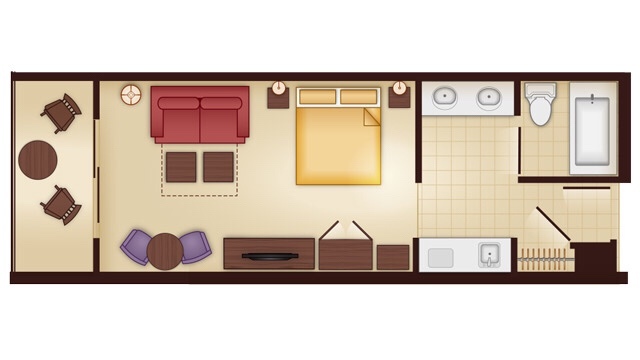 It had a small kitchenette and a balcony (both of which was amazing particularly if you have children). If you have the opportunity to stay in a room with a balcony; that extra space where you can just step out side and grab some fresh air is a god send as we found also when we stayed at Old Key West. It had a small refrigerator and a microwave which helped massively with my baby particularly with regards to bottles and keeping milk cool. It was a lovely size too as you will have seen in the vlogs. The settee came out as another bed, my youngest was in a ‘pack and play’ which is what us Brits call a travel cot and there was really ample space. The other thing which was pretty awesome was that we had a savannah view… we overlooked grazing zebra, giraffes and gazelles roaming free. It was quite late when we got back that first night but we were super hungry so Hubby nipped downstairs and brought back a kind of DIY room service?! He went down to The Mara, a quick service restaurant located not far from the pool area, and brought some food back to the room. Nothing special and probably didn’t help the fact that hubby had trekked the Sahara (slight exhaduration there!) to bring it back to the room. We didn’t dine at any of the restaurants on property but that’s because they weren’t really our cup of tea. They are extremely popular and apparently delicious. If we weren’t such a picky family we would’ve gone 100%! It’s the only thing I didn’t like about the resort it’s very big. It was quite a walk from the room to the pool, or the restaurants. From experience a lot of the pools at Disney resorts require a walk. The only one we’ve stayed in so far that doesn’t was Bay Lake Towers where we literally took the elevator down to the ground floor and walked out the back. We did obviously check out the pool; I mean we had to it was massive!! 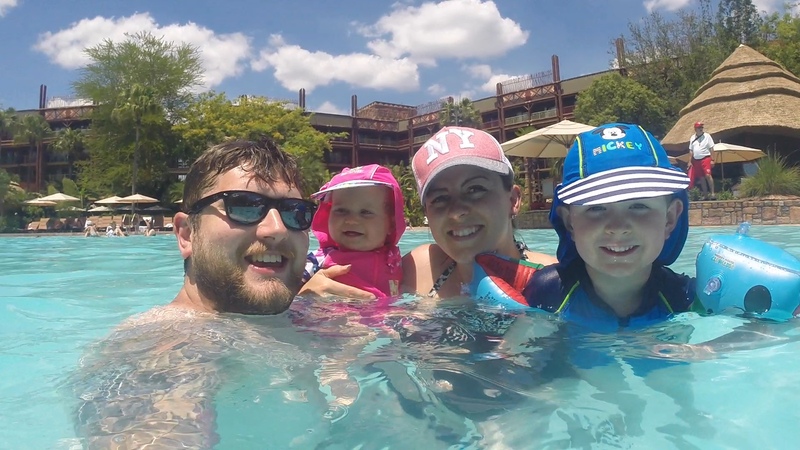 It was our first experience of a Disney pool and it didn’t disappoint. The slide was small enough for my then 4 year old and the size of the pool meant although the resort is really big you wouldn’t have thought it with the amount of people in the pool. 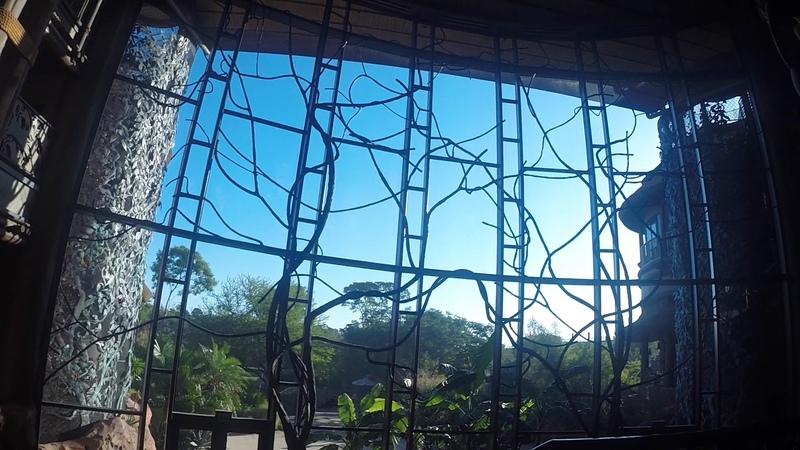 Would we go back to Animal Kingdom Lodge? This is a tough one because it’s a beautiful resort and usually comes out as the cheapest deluxe resorts in quote but I don’t think we would rush back. We wouldn’t ever eat in the onsite restaurants, the walk from our room to our car in the car park is quite a hike and for us it’s just that little bit far out. It’s located near the Animal Kingdom Theme Park which is the furthest park in to Walt Disney World so you do find yourself passing everything before you get there. For us it’s just that tiny bit too far out and we know now having stayed at Old Key West that we’d much prefer the be located more centrally. The only downside though is the location and that it’s a little bit too big I feel. But it’s an absolutely beautiful resort in the most amazing setting.